New Study: Non-Profit Arts Industry In North Texas Has Tripled Its Economic Impact. Yes, Tripled. How much do the arts affect the economy in North Texas? Turns out, a lot, and it’s jumped up big-time in five years. A new, nationwide study finds that the non-profit cultural sector’s economic impact has tripled. That’s right. Tripled. The study is called Arts & Economic Prosperity, and it’s the largest arts impact study of its kind. Arts & Economic Prosperity finds that the local arts and culture industry supports almost 53,000 full-time employees in the region. In comparison, American Airlines, which is headquartered in Fort Worth, employs around 30,000 people locally. 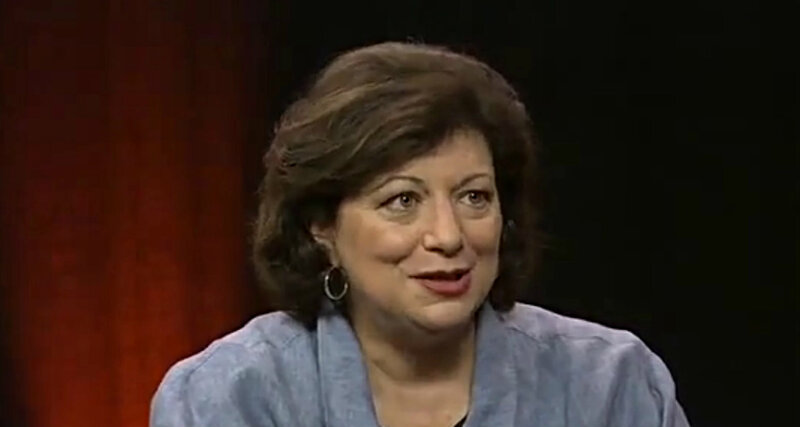 Katherine Wagner on THINK TV in 2010. 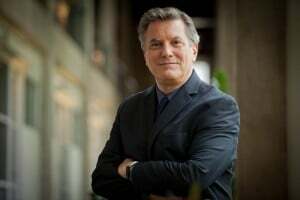 Wagner is CEO of the Business Council for the Arts in North Texas. [See her THINK TV interview here.] This is the second time her group has worked as the local partner for the national study, which is produced every five years by Americans for the Arts, an arts and education advocacy group. [Officially, this study is Arts & Economic Prosperity 5.] The study indicates the economic impact of the arts in North Texas has grown from $500 million to almost $1.5 billion in five years. The non-profit cultural sector actually tripling in size in five years may seem unlikely — the population of North Texas did not come close to tripling. But consider that the Arts & Economic Prosperity studies use the most recently available financial data. So the new study actually reflects our status in 2015, and the previous one reflected the situation in 2010. That year, we were still suffering from the Great Recession, yet the ATTPAC had just opened – and was widely criticized as being a waste of money or a serious miscalculation because the recession was a significant reason the ATTPAC opened with some major construction debt remaining. Yet the new Wyly Theatre and the Winspear Opera House aren’t simply the homes of the Dallas Opera and the Dallas Theater Center. Since 2010, the Lexus Broadway Series launched and so did Off-Broadway on Flora. And all the other series and organizations began using those spaces as home (the Dallas Black Dance Theatre, TITAS, the Elevator Project, etc.). Then there was the City Performance Hall, which opened in 2012. Also, between 2010 and 2015, the Dallas Art Fair was established, the Perot Museum of Science and Nature opened, the Oak Cliff Cultural Center opened, the late Bruce Wood re-started his choreographic carer with the Bruce Wood Dance Project, the Dallas Contemporary moved into its expansive new home, the DMA announced its new free-admissions policy, Aurora began, the Crow Collection of Asian Art significantly expanded both its gallery space and store and dozens of smaller outfits were born (Dark Circles Contemporary Dance, Deep Vellum books, the Wild Detectives, the Danielle Georgiou Dance Company, the DSO’s Remix series). The Nasher Sculpture Prize was established, Dallas’ Design District became a major new home for art galleries, and, of course, Klyde Warren Park was established. Most of that frenzy of activity was just in and around the Dallas Arts District. In Fort Worth, for instance, the Kimbell opened its Renzo Piano Pavilion, the Cliburn expanded its offerings, Amphibian Stage Productions moved into its new home, the Near Southside took off and Sundance Square was reconfigured. Seen in this light, the new Arts & Economic Prosperity study actually gives us perspective on just how explosive those years were for the non-profit cultural community in North Texas. In effect, we are still scrambling to catch up with that explosion and are riding its rippling after-shocks. It’s little surprise, then, that the Dallas Arts District is considering a new master plan for its future, so is the city of Fort Worth and so is Dallas’ Office of Cultural Affairs, which is trying to catch up with years of deferred maintenance, let alone this huge expansion and what it means. In North Texas, seven cities and cultural districts participated including Dallas, Fort Worth, Irving, Lewisville and Richardson. According to Wagner, more than 90 percent of the non-profit arts groups in those areas contributed their data to the study – compared to an average of 50 percent nationwide. DALLAS, Texas — The nonprofit arts and culture industry in the North Texas region generates $1,473,366,015 in annual economic activity. This activity supports 52,848 full-time equivalent jobs and generates $167.2 million in local and state government revenues. These findings are included in the exhaustive national economic impact study, Arts & Economic Prosperity 5, conducted by the Americans for the Arts. Research in this region was gathered by the nonprofit Business Council for the Arts as part of the nation’s most comprehensive economic impact study to date. Highlights from the Arts & Economic Prosperity 5 study will be announced at a June 28 celebration hosted by the Business Council for the Arts, The Office of Cultural Affairs and the Dallas Arts District. Of the 52,848 jobs supported, 40,368 are directly tied to arts organizations. The rest are supported by audiences and their related spending (restaurants, parking, hotels, purchases, etc.). Those jobs translated into $1.3 billion in annual salaries. North Texas cultural audience attendance numbers totaled 13,970,000 in 2015. Seven North Texas cities and cultural districts participated in the Americans for the Arts study, the largest number yet. Participating cities include Dallas, Fort Worth, Irving, Lewisville and Richardson. Total economic activity tied to Dallas arts and culture was $891 million, up 277% from the $321 million in the 2010 study. Dallas arts organizations and audiences supported 33,554 jobs, a 308% rise over 2010. 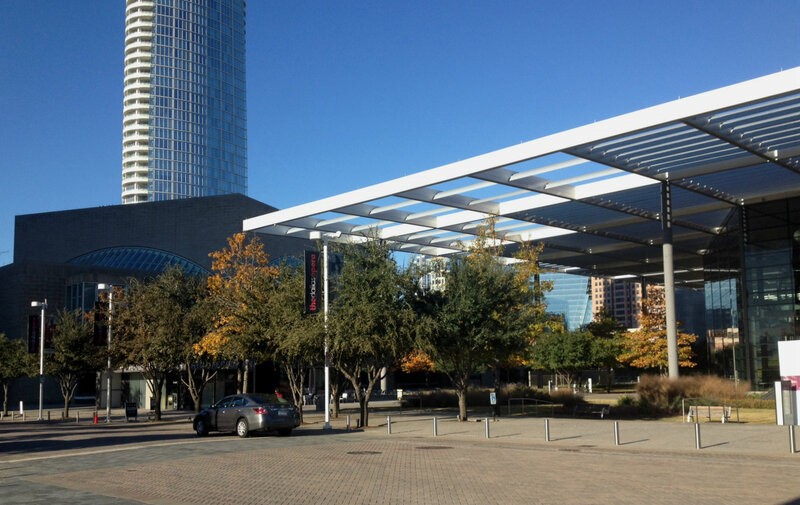 Dallas arts and culture generated revenue of $97 million to local and state government. Jennifer Scripps, director of the City of Dallas Office of Cultural Affairs said she expected the numbers would show growth, but the large leap on so many levels was exciting. The economic activity of the Dallas Arts District alone has tripled in five years, going from $128.6 million to $395.8 million. The revenue generated for local government from Dallas Arts District arts organizations and audiences was $19 million in 2015. 14,932 jobs are supported by Dallas Arts District arts organizations and audiences. Lily Weiss, the executive director of the Dallas Arts District says the neighborhood’s jump in numbers can be attributed to a wide range of things: More public programming and events at arts venues across the District, free entrance at the Dallas Museum of Art, the AT&T Performing Arts Center and its resident companies coming fully on line, the opening of Dallas City Performance Hall and more. The Arts & Economic Prosperity 5 study was conducted by Americans for the Arts. The economic impact study examines cities, counties and states nationwide every five years. This year, for a regional perspective, seven North Texas cities and cultural districts participated, demonstrating the reach and impact of arts and culture in neighborhoods and communities across the region. Volunteers with the nonprofit Business Council for the Arts surveyed audiences at arts events in participating cities over several months. The spending tied to arts and culture in North Texas is far-reaching: organizations pay employees, purchase supplies, contract for services and acquire assets within their community. Those dollars, in turn, generated $1.3 billion in household income for local residents and $167.2 million in local and state government revenues. In addition to spending by organizations, the study also examines event-related spending by its audiences. As a result of attending a cultural event, attendees often eat dinner in local restaurants, pay for parking, buy gifts and souvenirs, and pay a babysitter. What’s more, attendees from out of town often stay overnight in a local hotel. Nationwide, the Arts & Economic Prosperity 5 revealed that the nonprofit arts industry produces $166.3 billion in economic activity every year, resulting in $27.5 billion in federal, state and local tax revenues. In addition, it supports 4.6 million full-time equivalent jobs and generates $96.07 billion in household income. Nationwide, the Arts & Economic Prosperity 5 study was conducted by Americans for the Arts and supported by The Ruth Lilly Fund of Americans for the Arts. Americans for the Arts’ local, regional, and statewide project partners contributed both time and financial support to the study. Financial information from organizations was collected in partnership with DataArts™, using a new online survey interface. For a full list of the communities who participated in the Arts & Economic Prosperity 5 study, visit www.AmericansForTheArts.org/AEP5Partners.